A few weeks ago I went along to another Kryolan workshop which you may have seen on my Instagram stories. Remember the tattoo covering and unveiling you saw on my Instagram stories? Well that was something we learnt the Kryolan Cosmetic Camouflage workshop. This post is not going to go through everything we learnt on the one day workshop (as there was a lot!) but it is to highlight what you can achieve from these workshops. The Cosmetic Camouflage workshop took place at the Kryolan flagship store in Covent Garden. The range of products in this store is immense! Give yourself plenty of time when you visit the store as you will want to swatch and try everything! The one day group workshop I attended is a mix of theory and practical. Generally the morning is more theory, but it is a very informal and friendly environment where everyone is invited to ask questions and share their own experiences and knowledge. The group I was in was a mix of people from Makeup artists, beauty teachers and dermatologists, all wanting to learn more about cosmetic camouflage and the Dermacolor Camouflage System range. The theory part covers a full look into the Dermacolor Camouflage System, which are the best products and the science behind some of the key products which is always good to know. It also covers different skin tones and undertones and basic colour theory. 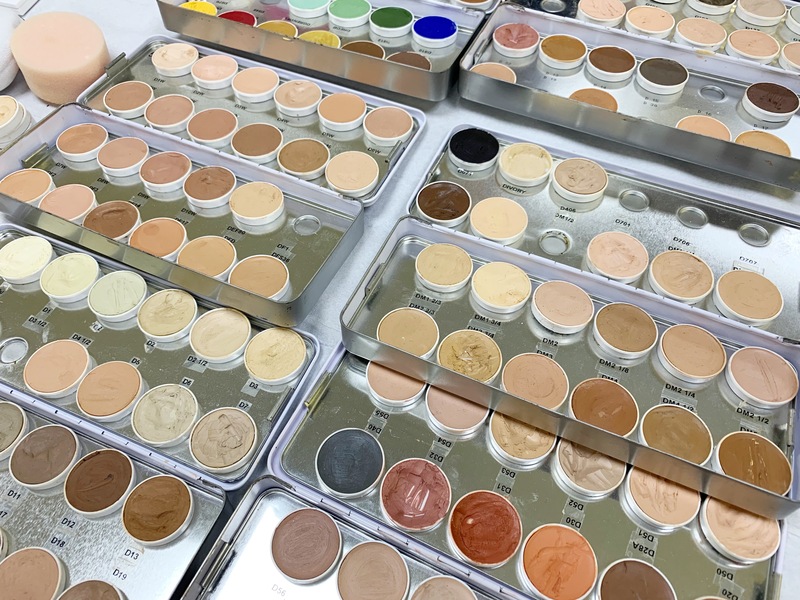 The products from the Dermacolor Camouflage System are 50% pigment which is up to five times more than usual foundations and concealers so they really do camouflage. 18% of the ingredients are natural which is a great benefit in terms of skincare. 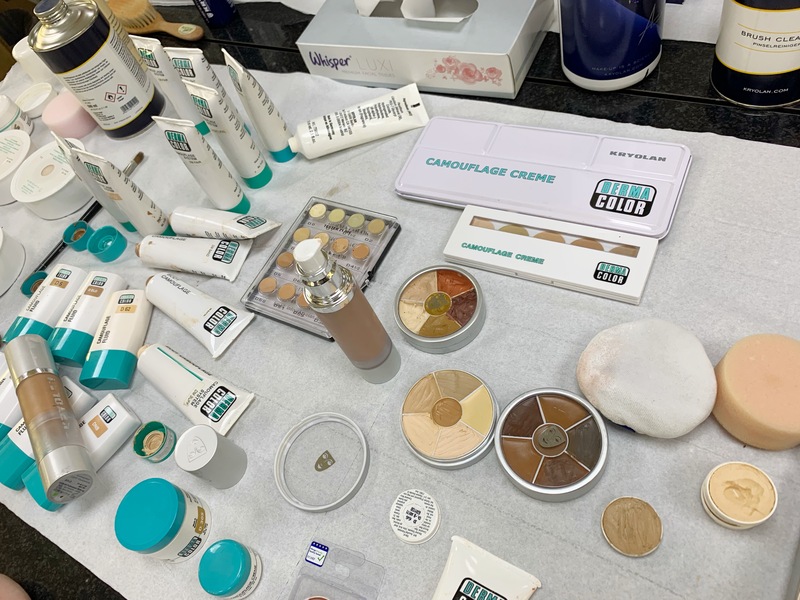 The entire range can be used to cover skin conditions, abnormalities, tattoo covering and even to create special effects in the TV and film industry and also by individuals. Dermatologists, doctors and makeup artists recommend the Dermacolor Camouflage System for so many skin conditions including Vitiligo, scarring, sun damage and so much more. All the products within the range are designed and created to work systematically with each other. The workshop fully allows you to discover the entire range, use the range and leaves you with the knowledge of how to use all the products from priming the skin to setting the products at the end which means a long-lasting effect. The afternoon was more of a practical session, putting into practise what we had discussed in the morning. Various real life models and clients came into the studio to join us. One lady had a birth mark on her face, she uses dermablend to camouflage daily. Using real life models really helps and gets you thinking about different skin tones and undertones and how to use different shades to counteract certain colours. It’s so important not to look or try to think too much about the ethnicity of a person, but to simply look at the skin tone (fair, medium, dark) and they undertone (pink, yellow, neutral) it takes a lot of practice to determine the tones. The educators also give their tips on how to deal with clients who may have gone through traumatic experiences in the past, for example don’t make assumptions about where the scar is and wait for them to tell you. Some clients may not be ready to talk about what they actually want to camouflage so there are a lot of things to consider other than just applying makeup. In makeup knowing the simple colour wheel and the theory behind colour really helps. Even if you’re not a makeup artist, the very basic can help you in your everyday makeup routine. A simple thing like covering dark circles under the eyes, can be made much simpler by using basic colour theory. So if your trying to counter bluish/brown circles use a peachy orange to counteract first before concealing. This will look less ashy and grey under the eyes. Just remember the colour opposite on the colour wheel will conteract.